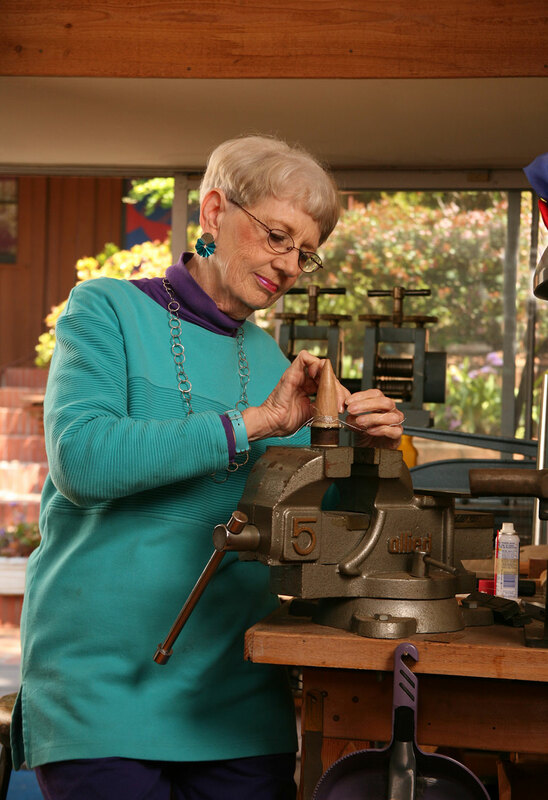 With more than fifty years of mastery under her belt, Arline Fisch is one of the most respected jewelry makers in the field. Her work melds jewelry, sculpture, and clothing, and she incorporates the structure of textiles and fiber craft into metal-based pieces that are often inspired by ancient cultures and the natural world. Fisch is the recipient of numerous honors, including the Lifetime Achievement Award in Crafts from the National Museum of Women in the Arts and multiple Fulbright fellowships to travel to Uruguay, Vienna, and Denmark. She has been a trustee of the American Craft Council, a founding member and president of the Society of North American Goldsmiths, and a trustee of the Haystack Mountain School of Crafts and is represented in numerous collections and exhibitions around the world. Join us as Fisch revisits pivotal moments in her career and discoveries she made while working and teaching at the various craft schools.